450g mix + 4.5L water, bring water to a boil and stir in mix. 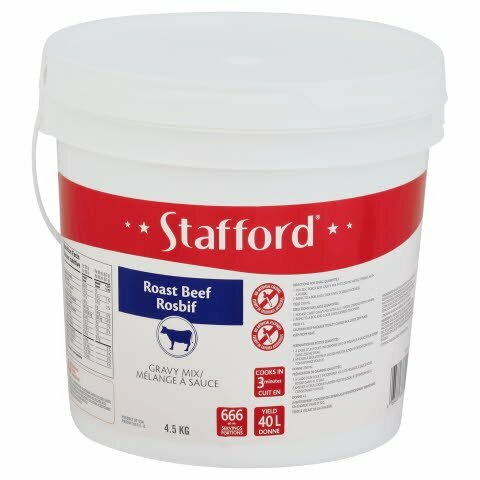 Made from selected blends of herbs, spices and real meat flavours, Stafford gravy and sauce mixes are a perfect match for scratch. The preferred choice to pour onto a hot sandwich, fries or to enhance a buffet.